We are an advocacy group. 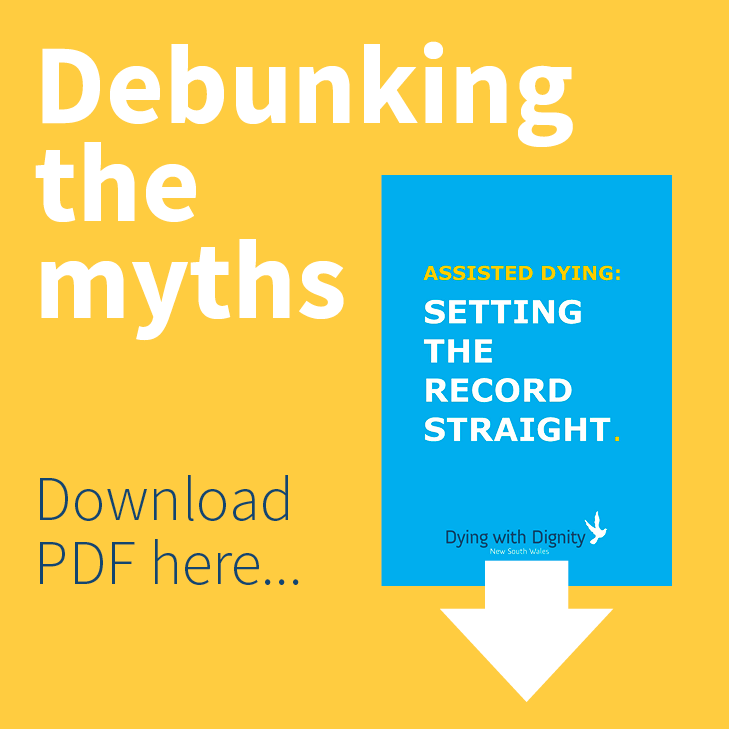 The greater the size of our membership base, the stronger our political clout, and the more likely we are to get a change in the law to end suffering at end-of-life. Please consider becoming a financial member of Dying with Dignity NSW, or renewing your membership if you have already joined us. All our members receive a membership card (with space for emergency contact etc), our newsletter (three per annum) and free printed guidelines and forms to assist with advance care planning and facilitate protection of their end-of-life rights. Annual membership applies for twelve months to 31 March the following year. (If you join after 30 June, your annual payment covers the period until 31 March in the year after the next one). If you join now you will be a full financial member until 31 March 2020. Life Membership means you only have to pay a one-off subscription and then relax. We offer on-line payment via PAYPAL or credit/debit card. Alternatively you can nominate to do a direct deposit into our bank or post us a cheque. If you would like to support Dying with Dignity NSW by adding a donation to this transaction simply click the button and select a donation to be added to your cart. NB: You can view what you have purchased so far at any time by clicking on the shopping cart icon. If you are not able to be a financial member of Dying with Dignity NSW at this time, and you regularly use email, you may like to be a supporter. If so, please input your details in the ‘Sign up here to be kept informed’ page.